Among the heart wrenching tales of war torn Sri Lanka, heroic memoirs of migration into foreign lands and recollections of a distant colonial past, emerges a new genre of Sri Lankan writing; the now, the present, the residue of what generations have left behind. This includes depictions of the modern Sri Lankan lifestyle complete with warped values and confused identities, the ever-present conflict of social class and the gradual evolvement of a lost generation. This is what Karen Roberts so intriguingly captures in her latest novel The Lament of the Dhobi Woman, published in 2010. Set in modern day Colombo, the story becomes familiar to the reader in the way it captures the reality of the lifestyle and social morals which have evolved over the past decade. In Roberts narrative Catrina, a creative, passionate young girl recollects memories and incidents in her childhood and early adulthood and speaks of her strong bond with her maid and caretaker Seelawathie, a woman she begins to regard as her own mother. Among many other ideas, I find identity a strong theme that emerges throughout the novel. Identity can be approached here in many angles; Cat’s strong identity towards Seelawathie as opposed to her own mother opens our eyes into the reality of how children are alienated from the traditional family unit and in Cat’s case, her upbringing was handed over to somebody else merely days after her birth. Being subject to an unexpected and unwanted pregnancy, Cat’s mother Sarla does not feel the need to bond with her third daughter, placing more importance on improving her social life, hosting and attending parties and mingling among the crème of Colombo’s society. Here we see a woman’s refusal to accept her Sri Lankan identity but we are not told why. It is perhaps due to the unfamiliarity and alienation she feels towards Sri Lanka, as seen among a lot of the youth growing up in Colombo, with their worlds being cut off from wider spectrum of Sri Lankan traditions, ideas and morals. Such detachment undoubtedly could have been passed down to her daughter Cat, had it not been for Seelawathie’s strong influence in her life. I find such recollections insightful not only in terms of understanding how young children return their love to the nannies and caretakers who themselves are young adults but also how a society has emerged in which raising their own children is not a priority to parents but rather promises to be a burden and hindrance to their careers and social lives. Roberts addresses issues of class and social status very subtly in her novel. In Cat’s description of her mother’s friends living in Colombo 7, with elegant houses down streets that, “reeked of a colonial hangover”, I find a more than a hint of satire in the tone which is used to describe Colombo’s elite society. Although not willingly being a part of her mother’s extravagant lifestyle, Cat is nonetheless associated with the notion of high society and wealth, as we see when she accompanies Seelawathie to her village. Seelawathie who is usually uncared for by her relatives is treated with respect now that she had “brought the rich Colombo baby home”. Roberts’ careful description of people in different situations subtly hints at wider concerns such as Sri Lanka’s ever-present class consciousness. 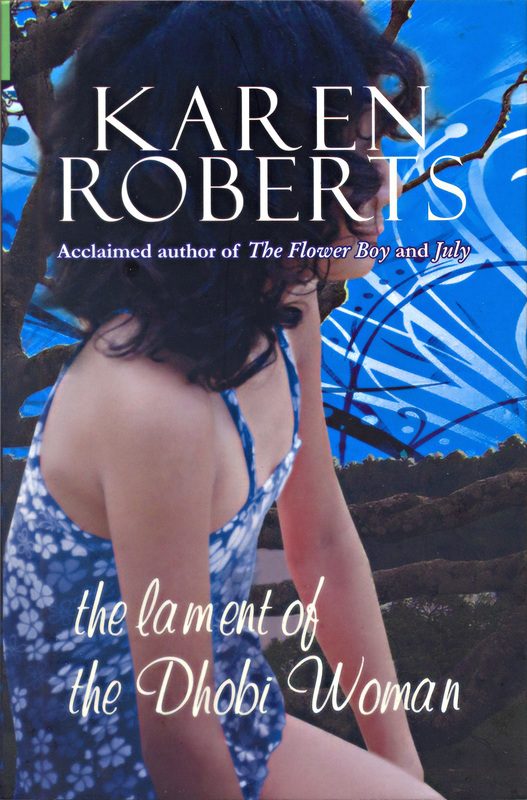 When considering Roberts’ other novels, I find a recurring theme which adds both intrigue as well as scandal to her stories: the forbidden affair. In her first novel The Flower Boy set in pre-independence Ceylon, we see a shocking affair between a British planter and his maid. In July, a heart-rending revelation of the events that occurred during the July 1983 riots in Colombo, Roberts portrays a passionate yet forbidden affair between a Sinhalese girl and her Tamil neighbour. In this light, I find Roberts’ novel to be a strong satire on Colombo’s rich elite society; what is different here is the fact that the cynicism and judgement comes from Cat herself who lives among such people, but has managed to resist their influence. Roberts’ story telling is natural and gripping in its own simple way. All her storylines and locations are carefully picked to compliment the subtle messages she wished to convey to her readers. Similar to Ru Freeman’s The Disobedient Girl, The Lament of the Dhobi Woman picks up on issues which are most often swept under the rug: the hushed-about, hidden tales of the domestic help- their treatment, difficulties and their inevitable fate. It is a novel of satire, reality and most importantly, reflection. Throughout all her novels, Karen Roberts succeeds in holding a mirror towards society, giving us beautiful tales of things we missed out, things we have forgotten and things we will never see. Chalani Ranwala is studying International Communications with Literature and Language at University of Nottingham in Malaysia.